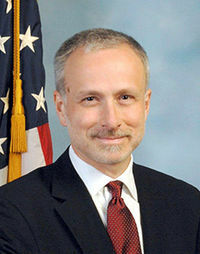 James A. Baker was General Counsel to FBI Director James Comey during the Trump-Russia collusion hoax and Hillary Clinton email whitewash investigation and served as the liaison with the Department of Justice (DOJ). In December, 2017 he was reassigned to a different position within the FBI. Baker left the FBI in early April 2018, after Congressional leaders called for prosecution of Obama administration officials' criminal conduct during and after the 2016 election. Baker moved on to work for to work for the Brookings Institute and Benjamin Wittes' Lawfareblog. Wittes was the first to write about an "insurance policy" should Trump win. Baker joined the Justice Criminal Department in 1990 and went on to work as a United States Attorney. In 1996 he joined Office of Intelligence Policy and Review (OIPR). This government agency handles all DOJ requests for surveillance authorizations under the terms of the 1978 Foreign Intelligence Surveillance Act, advises the Attorney General and all major intelligence-gathering agencies on legal issues relating to national security and surveillance, and "coordinates" the views of the intelligence community regarding intelligence legislation. Baker has often testified before Congress on behalf of Bill Clinton and George W. Bush administration intelligence policies, including defending the Patriot Act before the House Judiciary Committee. Regarding Baker's 2007 appearance on the PBS Frontline episode "Spying on the Home Front", the show's producer, in a Washington Post online chat, referred to Baker as "Mr. FISA himself". Baker's government service was interrupted twice by stints in the private sector. Baker was assistant general counsel for national security at Verizon Business from 2008 to 2009. He was associate general counsel with Bridgewater Associates, LP from 2012 to 2014. In 2004, according to The Washington Post, Baker was responsible for the discovery that "the government's failure to share information" regarding the NSA electronic surveillance program had "rendered useless a federal screening system" insisted upon by the United States Foreign Intelligence Surveillance Court to prevent "tainted information"—in U.S. case law, fruit of the poisonous tree—from being used before the court. Baker was reported to have informed presiding federal judge Colleen Kollar-Kotelly of the FISC, whose complaints to the Justice Department led to the temporary suspension of the NSA program. In 2007, according to The Washington Post, Baker revealed that he had informed Attorney General Alberto Gonzales "about mistakes the FBI has made or problems or violations or compliance incidents" prior to Gonzales' April 2005 testimony before the Senate Judiciary Committee that ""There has not been one verified case of civil liberties abuse" after 2001. The House Judiciary and Oversight committees concluded in 2018 that the DOJ under President Barack Obama had treated Donald Trump and Hillary Clinton unequally by affording Clinton and her associates extraordinary accommodations, while abusing surveillance powers to investigate Trump's associates. Baker testified that it was Michael Sussmann, a partner at Perkins Coie, who shared with him information that detailed alleged communications between servers in Trump Tower and servers located in Russia at Alfa Bank—an allegation that eventually was debunked. Sussmann was also the lawyer who spearheaded the handling of the alleged breach of the DNC servers. Baker acknowledged that he discovered that Sussmann was also speaking to The New York Times regarding that same information. The FBI later contacted The New York Times and asked the newspaper to hold off on publishing while the bureau investigated the matter. The information that Sussmann passed to Baker appeared in the so-called Steele dossier, in a memo dated Sept. 14, 2016. Notably, Sussmann met with Baker five days later, on Sept. 19, 2016. In addition to coordinating the “small group” activity to exonerate Hillary Clinton, Baker was also a recipient for some of the Comey Memos of leaks of privileged conversations with President Trump. Baker has knowledge of, and possibly a co-conspirator in, the “insurance policy” described by FBI Agent Peter Strzok and FBI Counsel Lisa Page. Additionally, Baker would be able to identify the level of knowledge and participation of Director Comey, and is therefore perhaps the biggest risk to Comey specifically. The FBI colluded directly with the partisan Democratic National Committee to perpetrate fraud against the FISA court, spy on Republicans, and subvert American democracy and elections. James Baker, Comey's top legal advisor in the FBI, told Congressional investigators the FBI colluded with Michael Sussmann, DNC attorney with Perkins Coie before FusionGPS was hired to author false and defamatory allegations against Donald Trump. Sussmann reportedly provided Baker with documents and electronic media, tainted evidence that was used to gain a warrant to spy on opposition Republicans without informing the court of its origins in the 2016 elections. In 1972, opposition researchers working for President Nixon broke into the Watergate hotel to spy on Democrat opponents during the 1972 presidential election. Nixon later was forced from office and disgraced for abusing his office by illegal domestic spying on political opponents to influence the outcome of an election. Dozens of conspirators - inside and outside of government - were convicted and jailed. In 2017, Sinclair-owned Circa News reported that Baker was under a Department of Justice criminal investigation for allegedly leaking classified national security information concerning the Trump administration to the media. Baker admitted he received a version of the Steele dossier from leftist reporter David Corn of Mother Jones magazine, and then forwarded it to Peter Strzok's team. Corn says that occurred in November 2016, right after the 2016 presidential election. Baker admitted to having received parts of the Steele dossier from Corn. Baker testified that these sections were different than the ones already in the FBI's possession: "My recollection is that he had part of the dossier, that we had other parts already, and that we got still other parts from other people, and that — and nevertheless some of the parts that David Corn gave us were parts that we did not have from another source." Baker said he either knew or assumed at the time that Corn had gotten the dossier from Fusion GPS co-founder Glenn Simpson, whom Christopher Steele worked for. The FBI used the news media as alleged "corroborating evidence" they presented to the FISA court as supposed independent investigation results which, in fact, came from the same source - the foreign agent Christopher Steele. DOJ official Bruce Ohr, who was a key conduit between Steele and the FBI, testified that he had informed the bureau of Steele's anti-Trump bias, and that the dossier was tied to the Clinton campaign and the DNC. Neither fact appeared in the final FISA application before it was approved by the Foreign Intelligence Surveillance Court. When asked whether he was aware of Bruce Ohr's warning to the FBI, Baker responded, “I don’t recall ever hearing that before just right now” in his 2018 Congressional testimony. Baker told lawmakers he was aware Ohr served as Steele's back-channel to the FBI, but said he was unaware, however, that Ohr's FBI handler, agent Joe Pientka, funneled the intelligence to FBI Deputy Assistant Director Peter Strzok and FBI attorney Lisa Page. Baker said that he only became aware of the fact that Ohr's wife, Nellie Ohr, worked for Fusion GPS—which had also employed Steele—from public reporting. Strzok and Lisa Page exchanged dozens of text messages expressing bias against Donald Trump and support for Hillary Clinton, while playing key roles on the investigations related to both candidates. The discovery of the text messages led to the removal of Strzok from the Mueller probe. Baker told Congress he ordered an investigation into the messages shortly after reading them. One senior law enforcement official familiar with the matter said that Comey specifically sought legal advice from Baker about when and how to tell the DOJ about Trump pressing Comey to shut down the Russia probe. The same official said that Comey and Baker had more than one discussion about the matter, and that Baker almost certainly made extensive notes about those deliberations. Both Comey and Baker sought the advice of Rybicki and McCabe as to whether to inform the Justice Department of Trump’s pressure of Comey to shut down the Russia probe, according to this same official. All four of them had reservations about doing so because they did not fully trust Attorney General Jeff Sessions — and because the events were unprecedented in their experience. within two days of Comey’s fateful meeting with Trump in the Oval Office, he relayed his account of what Trump asked him to do (or undo) to three top FBI associates: Deputy Director (and now Acting Director) Andrew McCabe; Chief of Staff Jim Rybicki; and General Counsel James Baker. ↑ 1.0 1.1 FBI — James A. Baker Appointed as FBI’s General Counsel. FBI. US DOJ website on OIPR (December 12, 2003). STATEMENT JAMES A. BAKER COUNSEL FOR INTELLIGENCE POLICY OFFICE OF INTELLIGENCE POLICY AND REVIEW UNITED STATES DEPARTMENT OF JUSTICE. Department of Justice (April 26, 2005). STATEMENT JAMES A. BAKER COUNSEL FOR INTELLIGENCE POLICY OFFICE OF INTELLIGENCE POLICY AND REVIEW UNITED STATES DEPARTMENT OF JUSTICE. Department of Justice (April 28, 2005). ↑ James A. Baker. Harvard University. ↑ Leonnig, Carol D.. "Secret Court's Judges Were Warned About NSA Spy Data", The Washington Post, February 9, 2006. ↑ Solomon, John. "Gonzales Knew About Violations, Officials Say", The Washington Post, July 11, 2007.